Dine in with us or Take it to-go! Let's save a tree together! View or download our to-go menu. Please Refer to Our Dine-in Menu for the Most Update Prices. ask about our daily special fish! 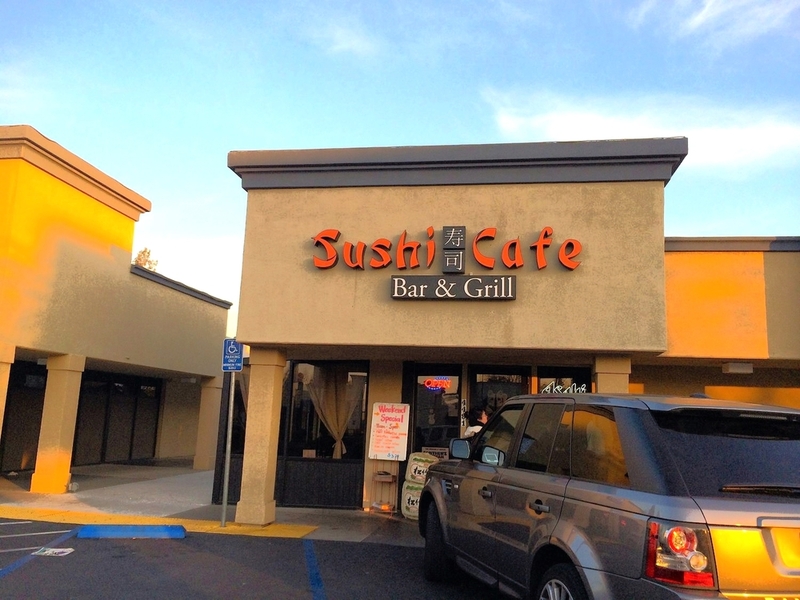 Sushi Cafe is located across the street from the historic William Land Park on Freeport Blvd and within walking distance from the Sacramento City College. For 16 years, Sushi Cafe continues to be the staple for fine Japanese dining in Sacramento. Sushi Café was founded by the executive chef and owner, Bryant Lee, an entrepreneur with a passion for food and his community. Sushi Cafe opened its doors in the Winter of 2001, serving delicious sushi dishes at exquisite prices. It's success is due to a large community support and love for Japanese food. In return Sushi Cafe strives to give back to its community whenever possible and involves itself in community events throughout the year. After all, the people and our community are what make all of this possible. Chef Lee’s achievement comes not only from the mastery of his craft but also from the satisfaction of meeting an essential need for his costumers. His menu keeps up with the times while still keeping the true Japanese cuisine as the core of all his dishes. Freshness is the key to every delectable dish! The Chef can be spotted roaming the town in order to hunt for the best local ingredients for his dishes. He buys a majority of Sushi Cafe’s ingredients locally because of these prevalent reasons: He is a firm believer in shorter distance from farm to table results in better tasting vegetables, Chef Lee predominantly uses the best locally grown ingredients in his dishes. As a fellow small business owner, he also understands the vital role that small businesses play in the community. For Chef Lee, this is a self-sustaining cycle that ensures a thriving community. What's Happening at the Cafe? We Cater! Here's our menu. Applications are Available, Please Inquiry Here. We have Sushi Cafe merchandise for SALE! Browse through our online store. Be Part of the Team! The shirt looks GREAT on you. Comes in Different Shapes and Sizes. While Supplies Last. Call for Avalability.